The preparation of new teachers is receiving a lot of attention these days. Recently, the National Council on Teacher Quality (NCTQ) released a review of educator preparation programs. Meanwhile, the Obama Administration recently announced its plan to renew efforts to develop a rating system for these programs. As a nation, we need to be confident that new teachers are ready to take over a classroom, will have an impact on student learning and that their higher education programs prepared them well. As Secretary of Education Arne Duncan said, “We want to have a national conversation” about quality teacher preparation and teaching effectiveness. Missing from both the NCTQ report and Duncan’s overture, however, is acknowledgement that teacher educators are already taking charge of improving teacher preparation. Illinois teacher educators and institutions, such as Illinois State University, the University of Illinois-Chicago, Illinois College, St. Francis University and National Louis University, among others, are leading the way. Illinois faculty and administrators have been essential contributors in designing and field testing a nationally available performance assessment that breaks new and essential ground: It requires aspiring teachers to demonstrate for independent review that have the skills that define effective beginning teaching. This assessment, called the edTPA, is now producing telling data about how well our programs are performing. As a result, we are in a better position than ever to dispute this area of weakness cited by Secretary Duncan. EdTPA helps determine if a candidate can perform at a professional level in 15 essential areas that contribute to effective instruction. Candidates demonstrate their skills in a portfolio they prepare for independent scoring. To pass, candidates must show they can plan classes, deliver instruction, assess student learning and analyze their own teaching effectiveness. It focuses on what is fundamentally necessary—competence in practices that will improve student learning. With more states making edTPA a requirement for program completion or licensure, a growing network of teacher educators – led by the Stanford Center for Assessment, Learning and Equity and the American Association for Colleges of Teacher Education – is supporting educators and teacher candidates as they go through this challenging yet rewarding process of preparing to be classroom teachers. – Assess if students are learning and include student feedback and results to plan further instruction. The edTPA is one example of how the profession is defining effective classroom teaching. Educators from Illinois and nationwide are gaining unprecedented clarity on our expectations for professional practice. As in all professions, our aim is almost always truer when we have a clear sight of the target. Today, our aim is to make sure that beginning teachers are prepared to help all students learn from the first day they take over a classroom. We extend an offer to the Department of Education and other skeptics to learn what we are learning about our candidates, their preparation, and our opportunities to improve. 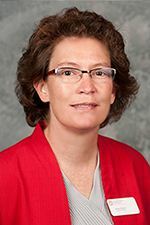 Amee Adkins is associate dean of the College of Education at Illinois State University. The School Board will vote on contracts for Grow Your Own, Teach For America and the Golden Apple Foundation to recruit and train a diverse pool of teachers for hard-to-fill positions, including special and bilingual education, and in high-needs schools. Grow Your Own Teachers helps low-income people of color earn a bachelor’s degree in education—a goal that would otherwise be almost impossible for them to achieve.